Read our take on how to run a successful business and learn the seven fundamental accounting formulas you need for healthy growth. Managing your business finances is a job in itself, and you may have a full-time accountant employed to do the books. However, many small business owners prefer to handle this themselves to keep control and save money. Many use QuickBooks online accounting software, which takes care of all the donkeywork. Whether you, or someone in your company does your accounts, it’s critical to the success o]f your business to engage with them and to understand what the figures tell you. 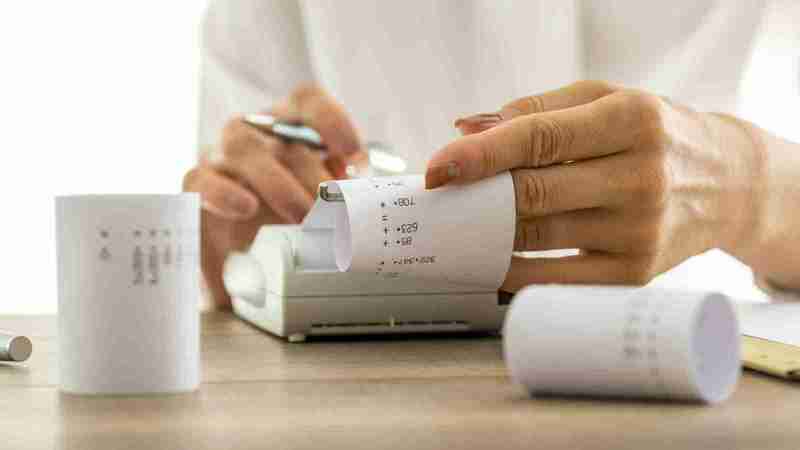 To make it easier for you, we’ve identified seven standard accounting formulas you should know about. Even if you use online accounting software like QuickBooks. These formulas are generally regarded as universal for any business because they’ll give you the necessary figures for understanding the health and viability of your business. This is called the balance sheet equation, showing the relationship between assets, liabilities, and owner’s equity of a business. Liabilities are financial obligations to third parties, like lease payments, merchant account fees and debt. Owner’s equity is the portion of the company that actually belongs to you, the owner. Quite simply, this is the money that you’ve earned. Revenues are the sales or other cash coming in to your company. Expenses are the costs associated with making sales. By subtracting revenue from expenses, you can calculate your net income. It’s possible that this number will be negative when your business is in its early stage, but this is quite common. The goal is for your net income to be positive, meaning your business is profitable. This tells you how much you need to sell in order to cover all of your costs. Fixed costs are recurring, predictable costs that you have to pay in order to conduct business. These costs include insurance premiums, rent, employee salaries, etc. Sales price is the retail price of your products or services. If you divide your fixed costs by the sale price of your product, then take away the amount it costs to make your product, this gives you your break-even point. This demonstrates how able your business is to pay off its current liabilities. Cash is just the amount of cash you have at your disposal. This can include actual cash and cash equivalents, such as highly liquid investments. The higher the number, the healthier your company. Tells you how profitable your business is. Net Income is the amount of money your business has made after expenses have been deducted. Sales is the total amount of income from sales you’ve generated. Dividing net income by sales, you’ll get your profit margin. A high profit margin indicates a healthy company. A low profit margin could reveal the opposite, but it can also mean that your expenses are a problem. If you have high sales revenue, but still have a low profit margin, it might be time to take a look at your expenses. This reveals how much of your financing comes from outside sources. Total liabilities are all the costs you must pay to third parties, such as loan or interest payments. Total equity is the amount of money you, the owner, have invested in your company. A high debt-to-equity ratio illustrates that a high proportion of your company’s financing comes from outside sources, such as banks. If you’re trying to secure more funding or look for new investors, a high debt-to-equity ratio might make this difficult. Shows how much it costs you to make your product. Cost of materials/inventory is the amount of money your company has to spend to acquire the materials necessary in the manufacture of your product. Cost of outputs is the total cost of all goods sold. By subtracting the cost of outputs from the cost of materials, you’ll know your cost of goods sold. This tells you if the outlay in making your product is in line with the revenue you get from selling it. "***** It’s like having an accountant in my pocket! - App Store Review"
Even if you have your own accountant watching the books, it’s best to have a good grasp of these formulas. The more knowledge you have regarding your finances, the better you can manage your business. QuickBooks online accounting software can save hours of time you would otherwise spend managing your accounts. It also puts you in the financial picture at the click of a button. We hope you’ve found this article useful. QuickBooks can help you to stay on top of your company accounts and give your company a quick health check, with the minimum of fuss.